Neem is a medium sized to large tree characterized by its short straight trunk, furrowed dark brown to gray bark and dense rounded crowns of pinnate leaves. Neem oil has various chemical compounds that include Margosic Acid, Nimbin,Nimbidin, Nimbinin, Kaempeerol, Azadirone, Quercursertin, B  Sitosterol, Praisine,Vanilic Acid, Nimbicetin and Meliacins. It has antibacterial, antiviral, antifungal, antiseptic, and antiparasitic, astrigent, purgative, emollien, anti inflammatory, digestive, diuretic, laxative, expectorant, blood purifire, anti diabetic and tonic properties. It has strong contraceptive & repellant properties as well. It is excellent moisturizer. Neem is a herbal remedy for the medication of fever, gastrointestinal disease, skin disorders, respiratory disease, intestinal parasites, immune system disorder and yeast infections in pets and many. 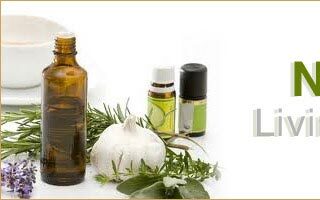 It may inhibit the development of viruses and prevent them from entering and infecting cells. 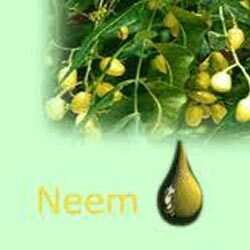 Neem oil is an appropriate herbal remedy for numerous skin disorders like acne, eczema, psoriasis, scabies etc. 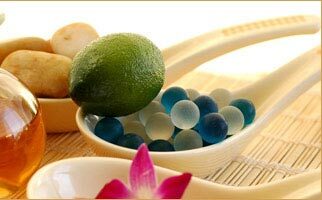 It is widely used for production of cosmetics like medicated sops, facial creams, nail polishes, nail oils, shampoos, conditioners etc. 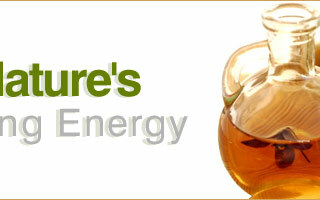 Neem oil contains several compounds which have proven medicinal and agricultural uses of high value.